Here I was thinking that making a driftwood lamp would be complicated – I never thought of taking an existing old lamp and redesigning it with driftwood! It can’t get any easier than that! Now I have one more thing to go hunting for at flea markets! 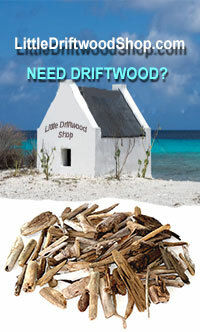 I’m intrigued by the idea of a driftwood chandelier now – if anyone makes one please please please post a photo! I’m envisioning adding pieces of sea glass like jewels sparkling on the chandelier! I would love to see a tutorial video on this or the candle maker in the future, you’re tutorial videos are always so helpful!